According to the ADA, gum disease is one of the most prevalent of all diseases, with more than half of U.S. adults struggling with some form of it. In the earliest stages, though, gum disease patients may have few or no symptoms at all. More advanced cases, however, include symptoms like bleeding or sensitive gums, frequent bad breath, and even tissue loss, resulting in loose teeth. Gum disease has also been linked to other kinds of health problems, including diabetes, heart disease, stroke, pneumonia, and pregnancy complications. Addressing gum disease as soon as possible will help you treat its symptoms and enjoy better oral health and improved overall health as well. Periodontal disease is caused by an accumulation of bacteria and plaque along the gum line, resulting in inflammation. As your sensitive gum tissue becomes infected, the fibers bonding your gums to your teeth will break down, creating pockets between them. Over time, bacteria can get inside these pockets, resulting in bone loss. Regular home care and dental cleanings will help you prevent this accumulation from occurring, lowering your risk of developing gum disease. Gum disease increases your risk for these conditions by giving bacteria and plaque a way into the bloodstream via the pockets that form between the teeth and gums. Treating gum disease early will prevent bacteria and plaque from increasing your risk of these conditions. 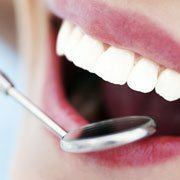 Gum disease is treated in a variety of ways. Mild cases can be controlled with simple brushing and flossing, plus more frequent dental cleanings. A more advanced treatment plan may include scaling and root planing, treatment with a soft-tissue laser, or the use of Arestin, a powerful antibiotic that keeps treating infection for days after it is first administered. At Distinguished Dental, Dr. McIntosh will assess your needs and develop a personalized treatment plan that uses her office’s advanced technology. You can prevent gum disease by eating a balanced, nutritious diet and by visiting Distinguished Dental for regular hygiene appointments every six months. During your next cleaning, your hygienist will remove bacteria, plaque, and calculus — all of which contribute to the formation of gum disease — from your smile so that you stay gum disease-free. What’s more, patients who struggle with mild gum disease (known as gingivitis) can often manage their condition with more frequent dental cleanings. 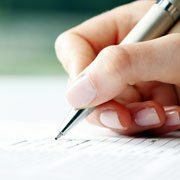 All of which is to say that hygiene and cleaning appointments at Distinguished Dental are vital. 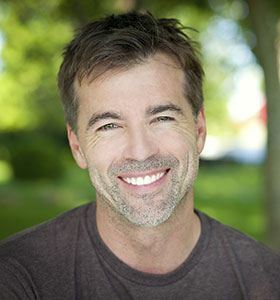 Do you want to learn more about periodontal therapy from Dr. McIntosh? Call our office today to reserve your appointment. We are proud to offer comprehensive general, cosmetic, and restorative dental service to patients in Keller and all surrounding communities.